Commissioner of Police in charge of Anti-Fraud Unit, Mr. Dan Nkem Okoro, stated this while updating newsmen on the crime. 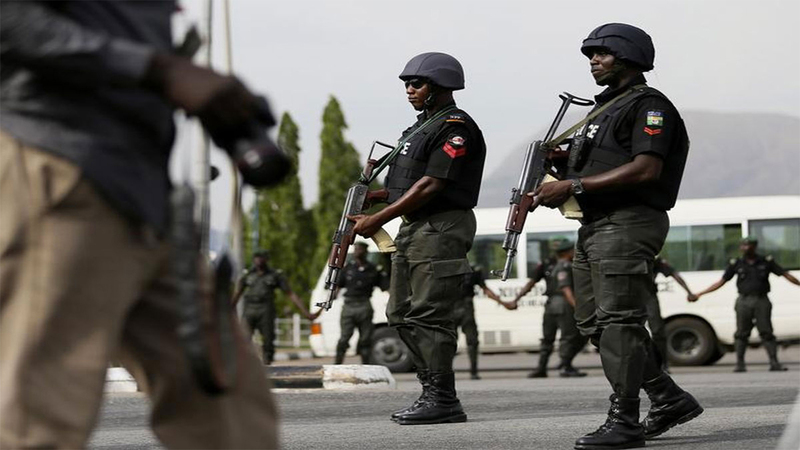 Okoro said the unit was already trailing another member of the syndicate alleged to be working with the Central Bank of Nigeria (CBN), adding that the Police engaged in Forensic Voice Analysis (FVA) to intercept encrypted conversations among members of the gang. He said manhunt for the gang had been ongoing since complaints of contradicting judgments emanating from courts and the plethora of cloned clearance documents from the Presidency, CBN, International Monetary Fund (IMF), Western Union Money Transfer and insurance companies, among others. Okoro stated: “With the help of an agency that has expertise in forensic analysis, we were able to uncode encrypted messages, analyse voice notes of conversations among members of the gang and also accessed some of the documents retrieved from their phones. “They forged these documents and circulate to innocent persons who do not know they are fake. The syndicate, in 2014, issued fake clearance letters from the office of the President, having the signature of former President Goodluck Jonathan. He added: “The group has also been linked to various offshore account frauds. So, those who dump money in accounts abroad thinking it is secure should take extra measures, because these criminals are being provided with access to such funds. “We are making this public because we want people to be aware. Members of the syndicate are with us now and are assisting us with investigation. “You can see documents belonging to corporate bodies and government agencies. We are also showing these documents, so that the agencies concerned can come forward for streamlining. “A serious cyber attack is going on now. A lot of people who are insiders in banks are culpable in divulging people’s bank details, cloning of PoS and ATM cards. Okoro, who took reporters on a courtesy visit to the agency, said plans were underway for detectives in the unit to be trained by the forensic experts.